Target 1 Spellcaster-Type monster you control; equip this card to that target. Twice per turn, it cannot be destroyed by battle or card effects. 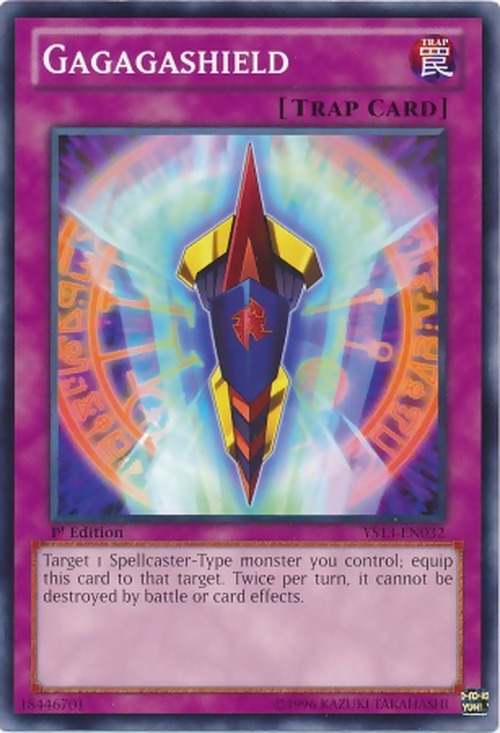 Even though this card's name implies that it supports Gagaga monsters only, it can be equipped to any Spellcaster-Type monster. If "Gagagashield" and its target are both targeted by "Icarus Attack", the equipped monster is not destroyed, and only "Gagagashield" is destroyed. : If "Gagagashield" and its target are both targeted by "Icarus Attack", which cards are destroyed?